FORTUNE EXCLUSIVE: The mind that built the fortune also came up with a complex plan to hand it off. 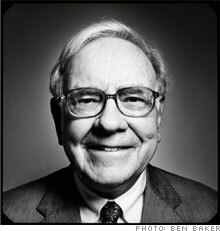 NEW YORK (FORTUNE Magazine) -- Warren Buffett holds only Berkshire Hathaway A stock (474,998 shares), but his gifts are to be made in Berkshire B stock, into which each A share is convertible at a ratio of 30 to 1. He will convert A shares to obtain the B shares he needs for his gifts. Buffett is earmarking a set number of B shares for each of the five foundations he has chosen to receive his gifts. In 2006 he will give 5% of the designated shares to each recipient. Next year the gifts will be 5% of the residual shares, and so on for every year until either Buffett's death or until certain conditions are no longer met at the foundations. Should you leave it all to the children? At Buffett's death, his estate will distribute, in a way not yet definite, the remaining earmarked shares. Here are the recipients and the number of B shares to be allocated to them. This foundation, the largest in the world, has around $30 billion of assets right now and has given away $8 billion in its 12 years of existence. Most of its money (typically funneled through partners) has gone to world health programs and to U.S. education. Buffett's gifts to this foundation will continue only as long as either Bill or Melinda Gates is alive and active in its work. Once called simply the Buffett Foundation and renamed in 2004 for Buffett's wife, who died that year, this foundation has $270 million in assets. Most of its funds came from the estate of Susan T. Buffett, and $2.1 billion more is expected from that source. This foundation has focused on reproductive health, family planning, and pro-choice causes, and on preventing the spread of nuclear weapons. This philanthropy is named for and chaired by Buffett's daughter, 52, who lives in Omaha (and who has also chaired the Susan Thompson Buffett Foundation since her mother's death). The daughter's foundation, which today has $118 million in assets, has funded early education for children of low-income families. With her father's new gifts, Susan Buffett expects to continue that work and expand into public-education and foster-care grants. This foundation's giving has been very international, taking in 42 countries and often aimed at conservation goals such as the protection of African wildlife habitats. But with its new money, the foundation plans to move much more heavily into clean-water projects, food relief, the plight of children entangled in illegal immigration, and other humanitarian areas. Named for the Latin word novo (meaning "I alter"), this foundation is run by Peter Buffett, 48, a musician and composer, and his wife, Jennifer, who live in New York City. Currently holding $120 million in assets, it has focused on funding individuals and organizations working to open up education opportunities, reverse environmental degradation, uphold human rights, and improve understanding and respect among various cultures and ethnicities.